This is a competitive, tuition-specific, $20,000 scholarship ($5,000 each year for up to 4 years) awarded to students who demonstrate significant achievement in music or theatre arts. Recipients must participate in ensembles and productions during their time at K, but are not required to major or minor in the arts. This scholarship is awarded to students who have achieved a high school grade point average of 3.0 or better and who have at least one grandparent, parent, step-parent or legal guardian classified as an alum of Kalamazoo College. The award is $5,000 renewable for a four-year period. The award is open to first-year, transfer, and international applicants. National Merit Finalists who select Kalamazoo College as their first choice are eligible for $1,000 (up to $2,000 if demonstrating financial need). Please consult the National Merit Scholarship Program website for additional information on eligibility and requirements. The Heyl Scholarship provides support for students graduating from Kalamazoo Public Schools or earning a certificate of completion from the Kalamazoo Area Math and Science Center (KAMSC) to attend Kalamazoo College and major in one of the departments in the Division of Natural sciences and Mathematics. Heyl Scholarships are highly competitive and are renewed annually, provided the recipient maintains a grade point average of 3.0 or higher. The scholarship covers full tuition, room, fees, and provides a book allowance; it does not cover board. A student cannot simultaneously hold another merit scholarship awarded by the College and a Heyl Scholarship. Heyl Scholarships are not based on financial need and some students may qualify for additional need-based financial aid from the College. Heyl Scholarships do cover tuition and fees for study abroad programs. Questions about the Heyl Scholarship should be directed to Suzanne Lepley at suzanne.lepley@kzoo.edu. Beginning with the 2015-16 academic year, the nationally renowned scholarship program known as the Kalamazoo Promise extended their program by partnering with Michigan Colleges Alliance (MCA), a consortium of independent, liberal arts-focused colleges. As a member of the MCA, Kalamazoo College may enroll and support Kalamazoo Promise-eligible students according to the terms of the program. Promise-eligible students are not eligible to receive merit scholarship aid from the College in addition to the Promise award; the level of tuition support is dependent on the qualifying years of eligibility under the terms of the Promise. For program details, please review the Kalamazoo Promise website. 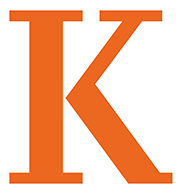 Questions about the Kalamazoo Promise as it applies at Kalamazoo College should be directed to Suzanne Lepley at suzanne.lepley@kzoo.edu. Please consult the Types of Financial Aid page for additional information on scholarships and grants typically received by Kalamazoo College through the Office of Financial Aid. Contact your admission counselor, email admission@kzoo.edu, or call 800-253-3602 or 269-337-7166.